Life is made a little sweeter with all the fine things in life. 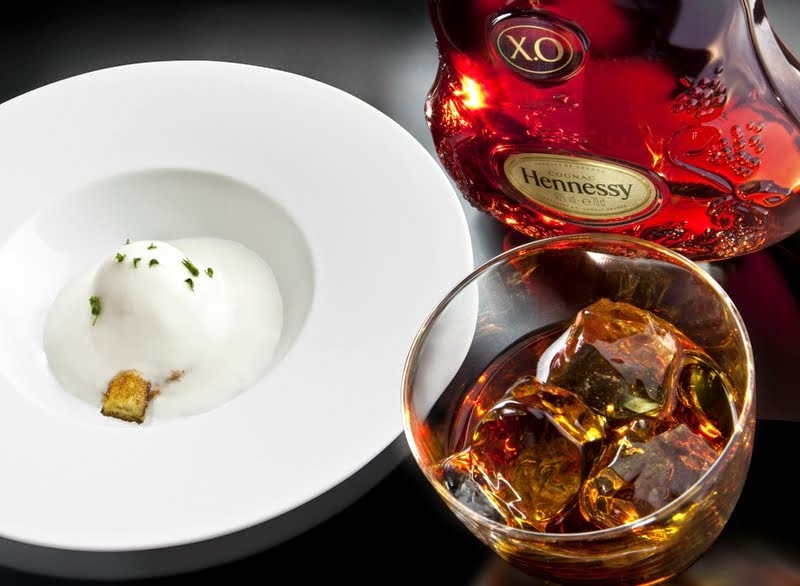 A recent voyage took me on a gastronomical journey all over the world at the first installment of the Hennessy X.O Appreciation Grows 2014 that took place at Danga Bay, Johor Bahru from the 16th to the 18th of April 2014. 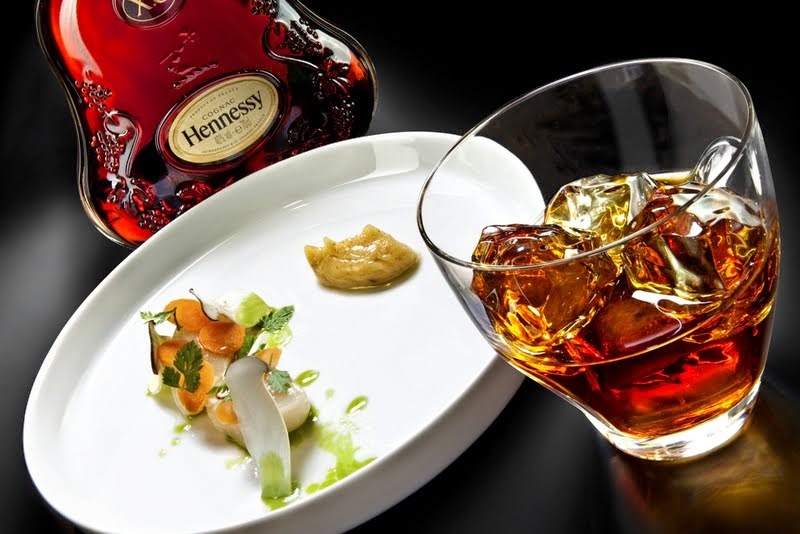 From my previous post here, distinguished guests and media experienced the ultimate Hennessy experience through an evening of fine cognac paired against the culinary brilliance of three times James Beard semi-finalist for Best Chef: Southwest and “Iron Chef Winner”, Chef Viet Pham. The journey took off with a short air trip to Johor where the magnificent dinner was held for three days consecutively. 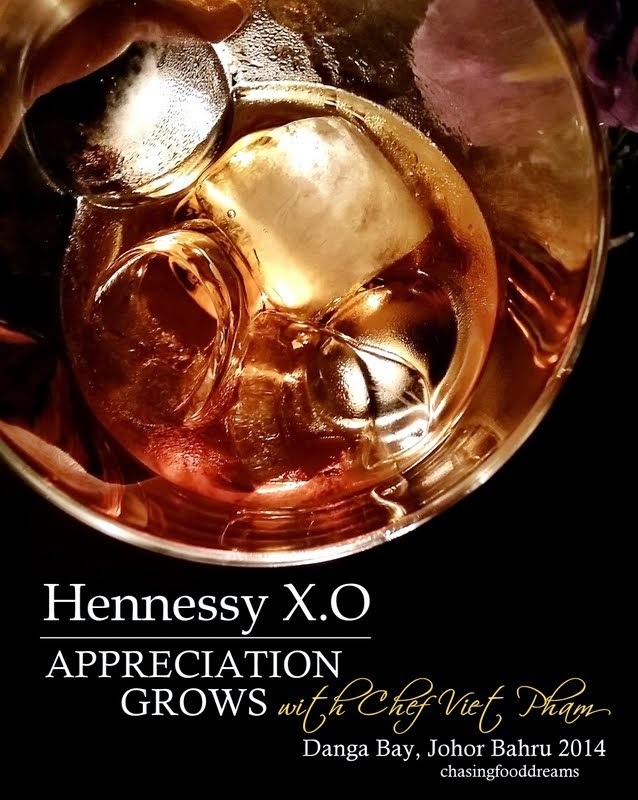 Hennessy X.O Appreciation Grows is a series of intimate engagements aimed at creating a core of true connoisseurs of the World’s Number One cognac through immaculate gastronomic experiences enhancing guests’ true knowledge, understanding and appreciation of Hennessy X.O. As this was my first experience at the Hennessy Appreciation Grows 2014, it was pure adrenalin running through my veins that evening as I put on my best evening frock to set sail on the event themed the ‘Spirit of Conquest’. Gastronomical connoisseurs set sail in an elegant journey charting the birth of Maurice Hennessy’s Original X.O in 1870 in France, to its global conquest of iconic countries around the world that evening. We had a short cocktail hour where guests were then invited to join Mr. Chong Wai Keng, Moët Hennessy Spirits Brand Ambassador for an intimate technical tasting of Hennessy X.O, where guests deepened their appreciation for the world’s most loved cognac Hennessy X.O. As we were ushered the holding lounge of the ‘ship’, I couldn’t help but notice that there were screens around the room. Our Spirit of Conquest was further heighten by the replication of the dining room of an early 19th century steam liner, filled with Chesterfield sofas, paintings from Maison Hennessy, illuminated with chandeliers, and completed with a vibrant arrangement of flowers on each table. As the event kicks off, the screens come alive as we set sail off into our voyage that evening with our host for the night, Mr. Will Quah. We set sail off for France, the birthplace of the Original X.O in 1870 as our ‘ship’ moored in France next to its famous landmarks. 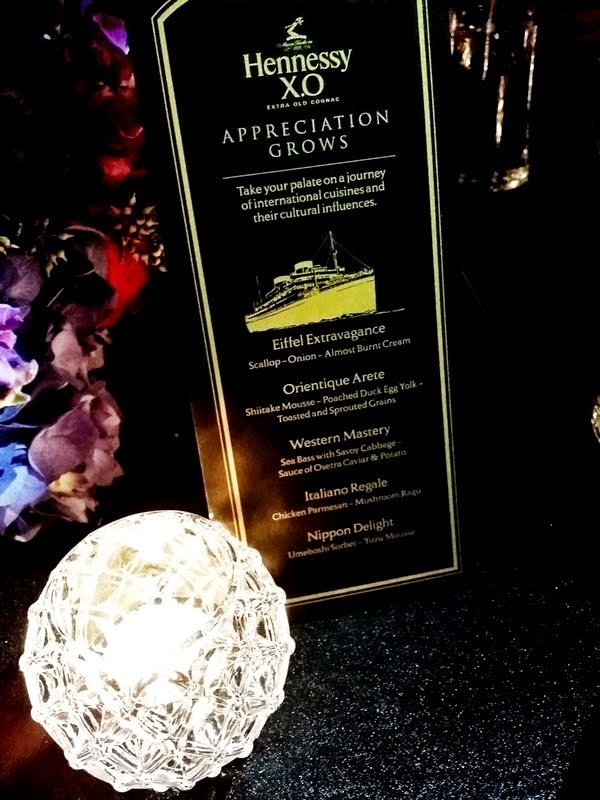 “Just as Hennessy X.O took to the high seas in 1872 to explore new horizons, this year's Appreciation Grows platform explored new grounds, venturing to Johor for the first time - providing connoisseurs there with more than just a food and cognac pairing, but rather an unforgettable platform for where their appreciation for life’s opulent experiences deepens” expressed Mathieu Duchemin, Managing Director of Moet Hennessy Diageo Malaysia. Our first course of Sweetness on Seine makes its debut on the romantic notion of France. Sweet diver scallops lightly roasted over embers are accompanied with an onion almost ‘burnt’ cream and is a romantic starter to tease our appetite for more. The subtle caramelized flavor of the onion burnt cream is very well controlled as it did not over power the gentleness of the scallops. 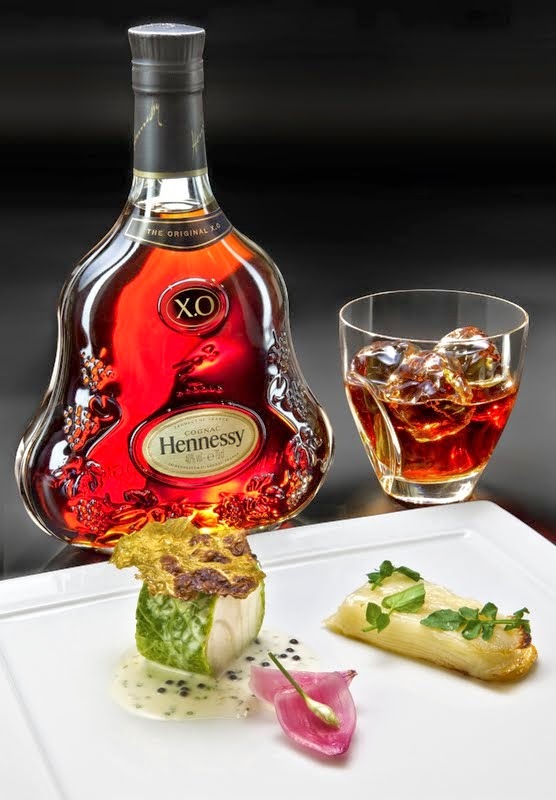 The melodious flavors of the sea and the onion meld beautifully with the Hennessy X.O cognac’s smooth and luscious notes. And what better way to bring a little France to us than a performance of French Cabaret… oo la la! These ladies had almost everyone’s attention that evening for their elegant and glamorous dance routine and costumes. 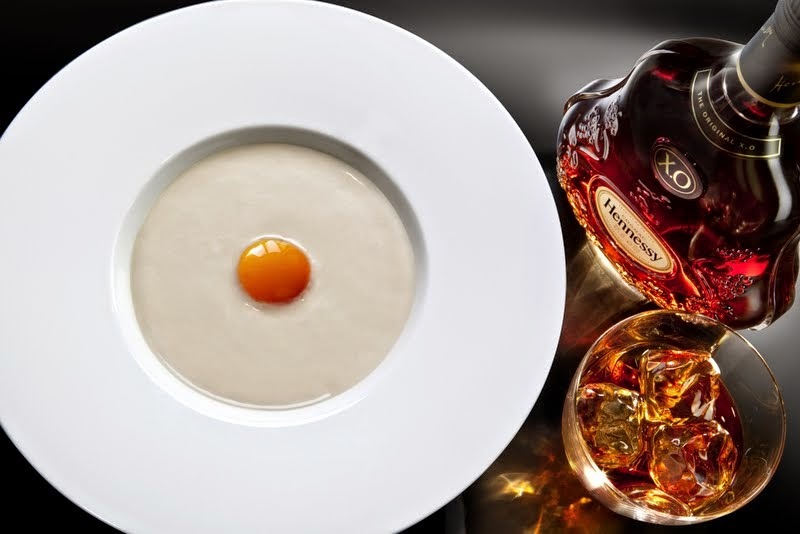 Moving along from the chic French waters, our Hennessy X.O gastronomical journey set sailed to East towards the Orient where China sets the next course with Yellow River Richness. Chef Viet’s ingenious use of Chinese classic ingredients of mushrooms and duck eggs is obviously a tribute to the Chinese cuisine. The dish looked contemporary and reflects a gorgeous barely poached duck egg yolk sitting on a bed of intense shitake mushroom mousse. The mousse has a luscious silky texture albeit its saltiness. The lustrous egg yolk flows over the mousse, making it even richer in flavors. Every spoonful lends a robust earthy note with bits of crunch from the lightly toasted sprouted grains. The richness of the dish seemed to intensify the tasting notes of the elegant cognac, served neat, to another level, rendering an even longer finish of spice and fruits. 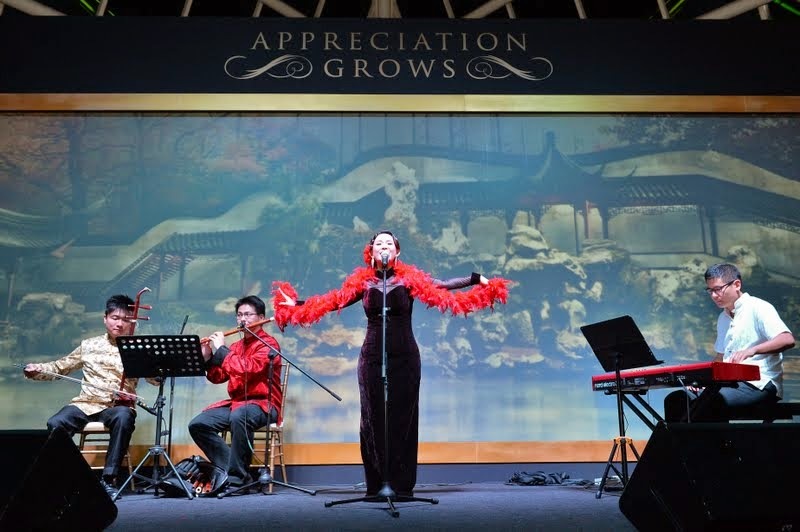 Our Oriental excursion was accompanied by a mesmerizing performance of Shanghai jazz. After its stint at the East, the Spirit of Conquest headed back West to the land of the free, America where our third course of the night awaits. Arriving in a period of American history- known as the Gilded Age, Hennessy X.O made its timely debut, as an elegant and sophisticated way to enjoy values of luxury and heritage. The Mild Hudson, a tribute to the Great American Dream, showcased a luscious piece of sea bass wrapped with savoy cabbage and sauced up with tiny black pearls of Osteria caviar. The sweet delicate sea bass is partnered with fondant potato and pretty pink pickled shallots. The salty burst of caviar pearls matched well with the powerful complexity of the Hennessey X.O cognac. 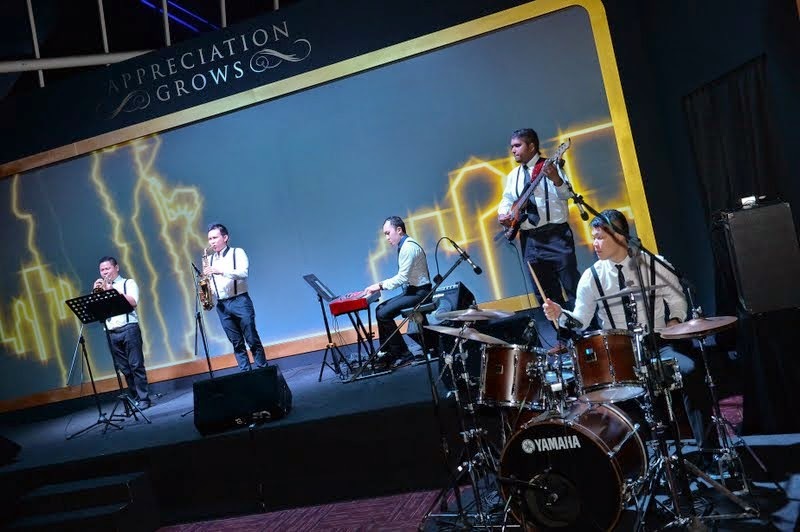 A jazz quintet belts out smooth and silky tones of jazz as guests enjoyed the third pairing of the night with the finest cognac. The Spirit of Conquest moves on and arrived at Italy where she welcomed the Original X.O with open arms in 1893. Italy, famed for its passion for culture, fashion and food is represented by Spicy Mediterranean, our fourth and final savory course. 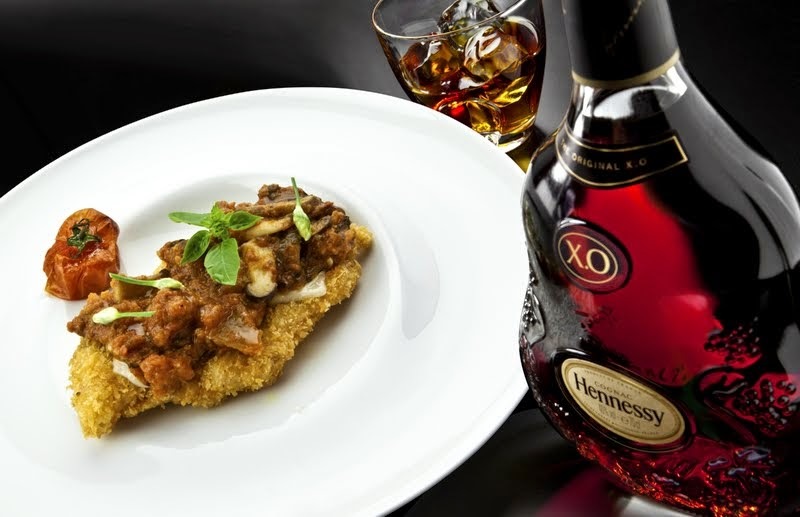 A dish that truly represents Italy, Chef Viet serves crispy crumbed chicken parmesan topped with a vibrant tomato and mushroom ragu to be paired up with the Hennessy X.O. Though not as elegant as the other courses, the rich tangy sauce does provide a strong match with the cognac. What won the hearts of many was the outstanding performance of an opera performance that had the whole room experience the passion of Italy together with the cuisine and the Hennessy X.O. As the night draws near, the Spirit of Conquest set its course back to East towards the Land of the Rising Sun where traditions and customs exist seamlessly within modernity - just like Hennessy X.O, a perfect counterpoint for all those who acknowledge that with time, Appreciation Grows. Our gastronomical journey completes its course of the night with Osaka Bay Freshness, where Japanese plum Umeboshi sorbet is married with Yuzu mousse. A match-made in heaven, the salty sweet notes of the plum sorbet is heightened with the vibrant tang of the creamy yuzu. The triumphant voyage with Hennessy X.O concluded with a spectacular Japanese drum performance by the Wadaiko Syo troupe that ended with a big bang. 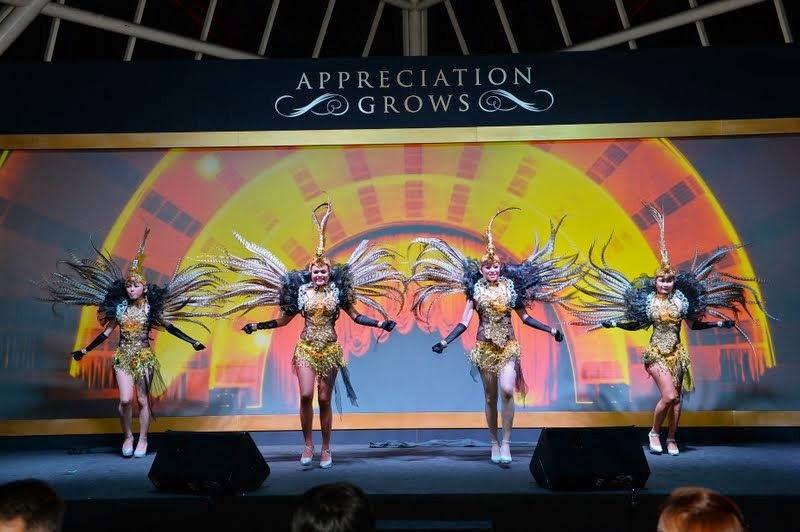 A night to be remembered, this year’s Hennessy X.O Appreciation Grows 2014 truly takes everyone on a journey of gastronomic and entertainment around the world. Echoing the elegance and class of the finest cognac by Hennessy, the Hennessy X.O Appreciation Grows 2014 exudes no boundaries but rather a class finer than the finest of its own and sets the bar for future installments to come.